Only two types of people are happy in this world. One who are foolish/dull and the others who are very much intelligent and knowledgeable. All the other people in between these two limits are the only sufferers. The foolish/dull people do not understand the problem (or cannot grasp the problems) and the intelligent people have the solution for it! And therefore it is only left for the people in between them to keep crying for the problem because having known what it is still they cannot envision the path for it’s complete eradication. 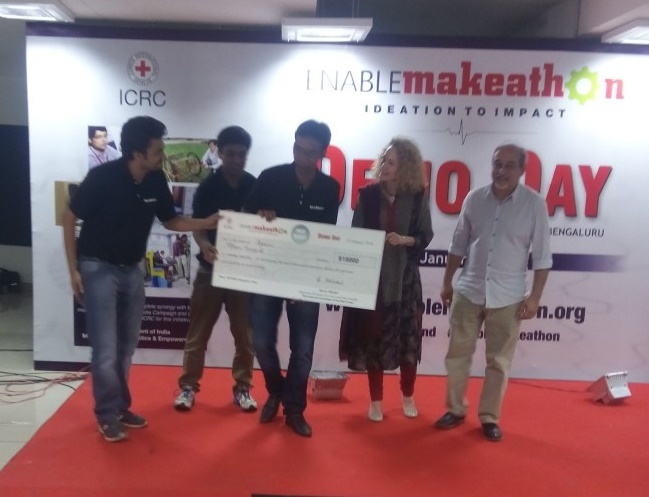 International Committee of the Red Cross (ICRC) and several other partner organizations, had organized an “Enable Makeathon”! A mega event to enable SAPs and innovators, to showcase their innovation in the field of Assistive Devices! Various teams from all over the world had participated with great enthusiasm and in great numbers. This was an international competition to select the best of the best innovative Assistive Devices! There were 17 teams selected for the final round and in my opinion, all the 17 teams were really exceptional! 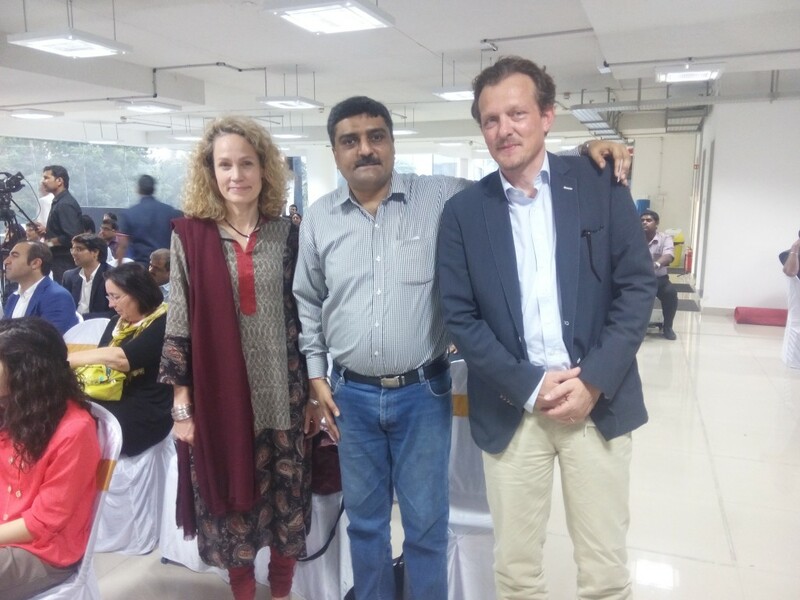 But as you know, like any other competition(s), only a few can be declared winner and so three best of the best teams were selected after a great scrutiny and a whole day’s demo to hundreds of visitors, judges, and the organizers at Bangalore, India! Voice of SAP, got involved with the organizers, innovators and the volunteers at Enable Makeathon! The demonstrations were really exciting, innovative and the best part of it, they were really generating hope that one day, millions of Specially Abled People in India, will make use of these innovative Assistive Devices. If we want the grand success of “Accessible India” campaign, we have to make it sure that every single Indian Specially Abled Person is having his/her own Assistive Device, because if they them selves are not able to access, there is no point in making the buildings, infrastructure and everything else accessible! I mean physical changes in the surroundings should be coupled with a lots of Assistive Devices’ distribution to the SAPs. Now, again the intelligent and the knowledgeable Investors in India and abroad should grab this opportunity, start the mass productions of the innovative devices and make them available to the millions of SAPs in India! I think this is a golden opportunity for Government of India’s “Make In India”, “Startup India” and “Accessible India” campaigns to get bigger boost by making these Assistive Devices available to the SAPs of India! 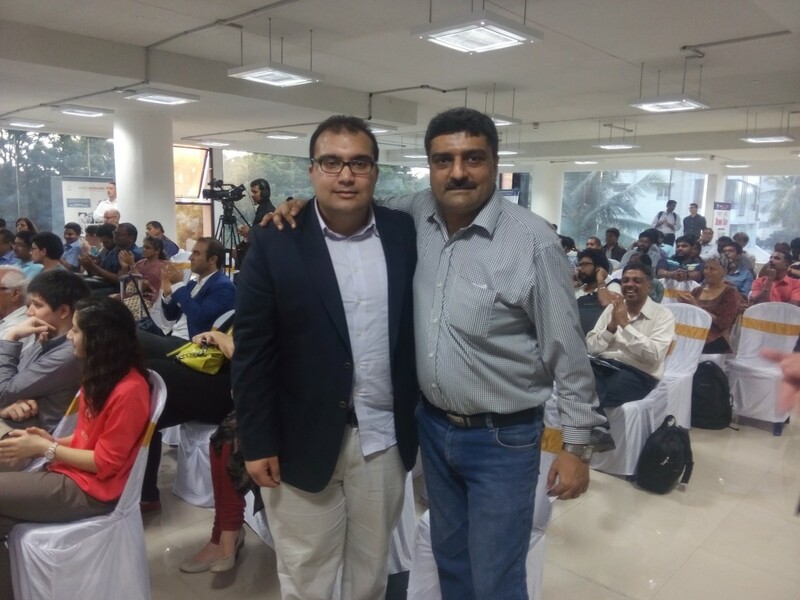 In the part 2, 3, and 4 of this article, Voice of SAP at “Enable Makeathon” Event Held at Bangalore on 23rd January 2016, I am going to share the details of the winning teams and their respective Assistive Devices! Stay Tuned, Get Inspired and let us Make A Difference! Company of great person is always beneficial. (see how) drop of water on lotus leaf appears like a pearl. (i.e.. it gains status similar to pearl) . In the same fashion, let us know, engage with the mass production of Assistive Devices in India.